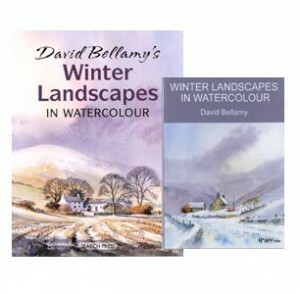 David Bellamy specialises in painting mountain and wild coastal scenes, and is particularly fascinated by the moods of nature in the wild places. 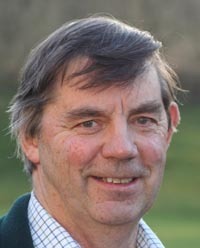 A full time artist and author, he has written seventeen books illustrated with his paintings and eight dvd’s on David’s techniques in watercolour have been produced by APV Films.Through his painting and writing he hopes to bring about a greater awareness of the threats to the natural environment, and he is particularly active in conserving the wild areas. He is currently campaigning to preserve his beloved Welsh Hills from the scourge of Wind Turbine Developments. 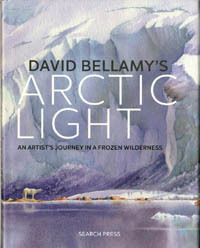 David’s latest book Arctic Light is due to be published on 1st June 2017. 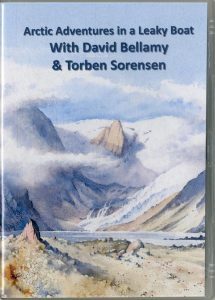 This book is a departure from his how-to-paint books and it reveals the fascination that the Arctic regions hold for him. His sense of wonder and excitement oozes from the pages as he endures less than comfortable accommodation, awful food and the ever-present danger of hypothermia. Undaunted by all the discomfort he never misses an opportunity to capture the sensational scenery of one of the world’s wildest of places. This time they set out to explore Tasermiut Fjord in southern Greenland in a Zodiac only to find out as they were setting off that the boat had a leak. Unperturbed they carried on in their usual carefree fashion to escape into a wilderness of ice, rock and sublime scenery where they are most at home. 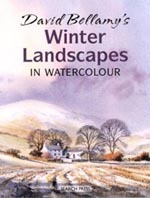 The Book – The winter landscape presents us with a particularly beautiful time for painting, when the lack of leaves reveals the graceful lines of bare trees, the fascinating textures and colours on their trunks, and low, directional sunlight throws shadows across our subjects and seems to bring them to life. Gone are those all-enveloping greens, to be replaced by a greater variety of colours, often warmer and more exciting. The wine-red branches of birch trees, for example, when seen in a mass exude a powerful beauty of their own. 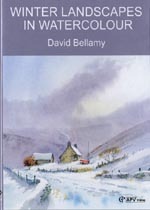 The book begins with the stunning warm colours of late autumn, then moves into the second section covering winter scenes without snow. The following deep mid-winter section shows you how to tackle snow scenes with various types of snow conditions, before we move on to the final section covering early spring. There are also four step-by-step projects. Also covered is gearing up for working outdoors in winter, techniques for rendering hoar frost on trees, misty and atmospheric effects, injecting rogue colours and much more. For those who really don’t wish to venture out there is a whole host of examples of winter landscapes to help you tackle this fascinating time of year.